I wasn’t sure what I was going to get when I requested this from Net Galley, but ended up being pleasantly surprised. It may take place during the main characters senior year in high school, but it wasn’t a YA read, more like at least 16 plus, if not older. Callie is an eighteen year old small town girl. She goes to high school, is almost an Olympic class swimmer, and works at a deli. When a family moves into the alledged haunted house next door, the entire town is excited. Callie, and her friend Allison, get even more excited when they see the two brothers from the family start at their high school. Liam Hale is arrogant, not friendly, and super hot. Callie’s best friend, Justin is ever present, wants to be more then friends, and since Callie is immediately interested in Liam, not real happy with the situation. Liam, and his brother Oliver, aren’t what they seem at all. In fact, they are Viking demi-gods, and their move to Callie’s town is not so innocent. Since that’s in the blurb, it’s not a spoiler. In this world building, gods from Roman, Norse, and Greek mythology are pretty much all the same, just named differently depending on where the people live. I am not big on mythology by any means, and actually not a fan. That being said, I thought this was well done, or maybe I should say it wasn’t overdone. There were quite a few characters to like as well. Callie, of course, I really enjoyed. At first, I didn’t care much for Liam, and thought Justin was the better love interest for Callie, but eventually Liam did win me over. Allison gets her chance at love also. As in any book of this kind, there were plenty of villains, as well as action and scary moments. There’s a twist in this book, but I have to say that I saw it coming really early on. It was just a bit too obvious, and maybe it was supposed to be. It really didn’t take anything away from the story, other then I kept expecting it to happen, when it wasn’t time yet. Enough said. To me, this was a page turner, and so easily read, that I was done in just a couple of days. I was pulled into the story, and pretty much stayed fascinated throughout. Of course, I didn’t know what a demi-god was until I read this, and that was an interesting facet of the book for me. I can easily say that this(demi-god) was a first in a book for me-always a good thing! I recommend this to adult paranormal romance fans that don’t mind action, and some pretty gory scenes. There are some sexual situations, but nothing really explicit. It ended up being a really good read for me, and I look forward to reading the next in this series. 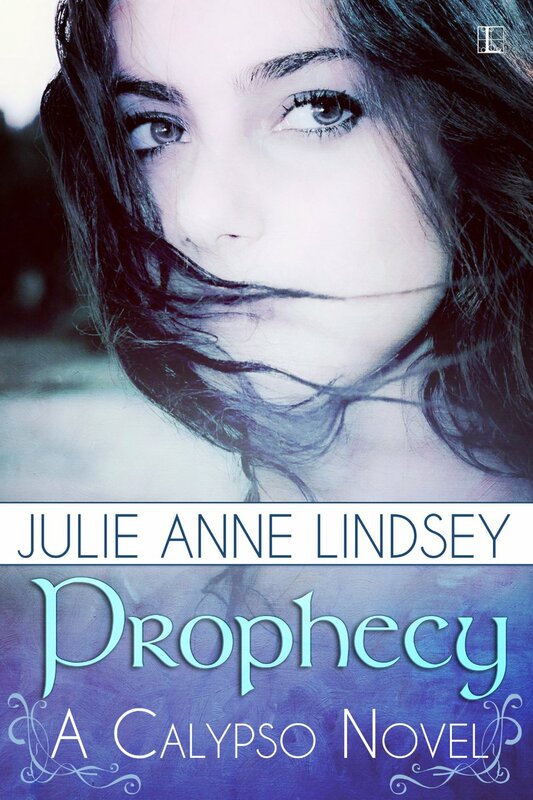 CLICK HERE TO GET YOUR COPY OF PROPHECY TODAY!